Three months after the El Paso de Robles Hotel burned, the property was sold and plans were announced for a new hotel. 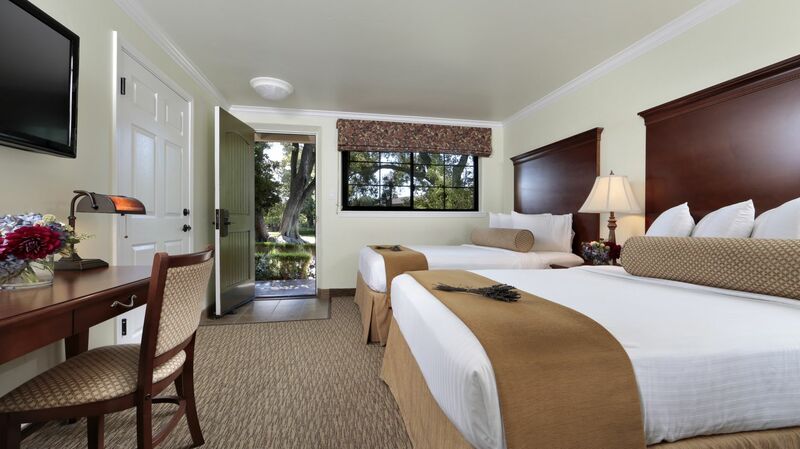 Renamed the Paso Robles Inn, the new facility was described as not a hotel, not a motel-but a combinations of both, capitalizing on the informality and convenience of the motor court, yet retaining all the atmosphere and fine features of a formal hotel. Bricks salvaged from the ruins of the 1891 hotel were used to construct the Inn’s buildings. This unique hotel styling accommodated the needs of motoring travelers well; the guests’ cars could be garaged just behind each room, offering visitors convenience while retaining the view of the lovely central garden. The Inn was featured in several architectural journals in the 1940’s because of its unique style. 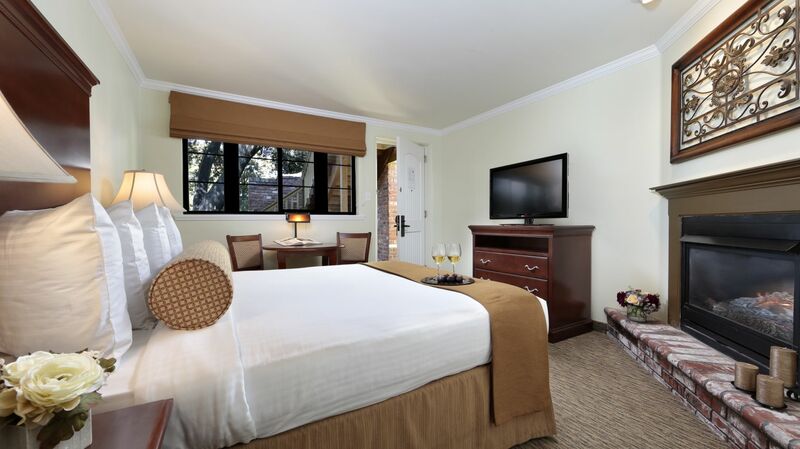 As our smallest, most affordable accommodations, our traditional guest rooms feature either one king, one queen, or two double beds which overlook the Inn’s gardens or the city park. 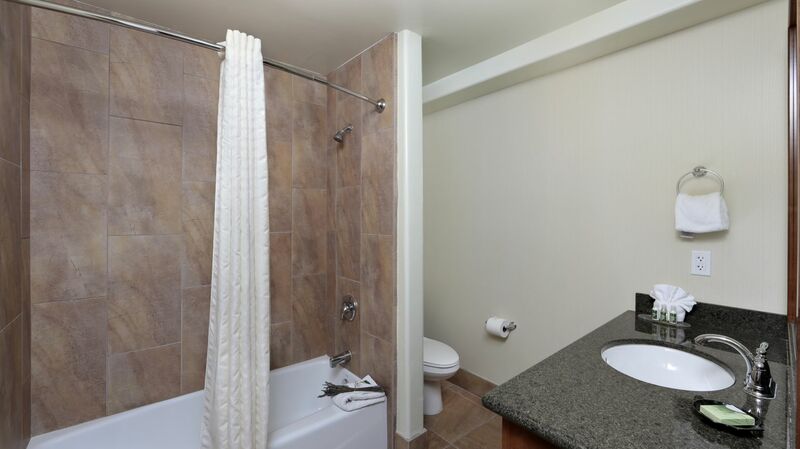 In addition to our standard amenities, these rooms also feature a double vanity bathroom and wet bar. 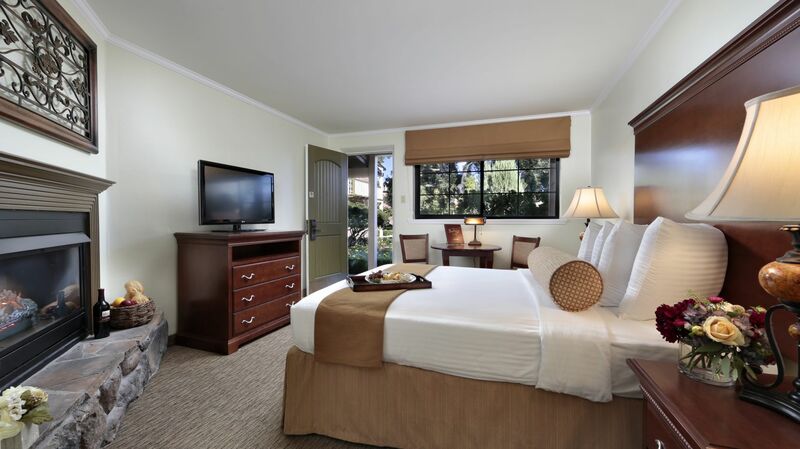 Located in the gardens with pool views, our garden fireplace rooms feature one queen or king bed and a cozy fireplace. 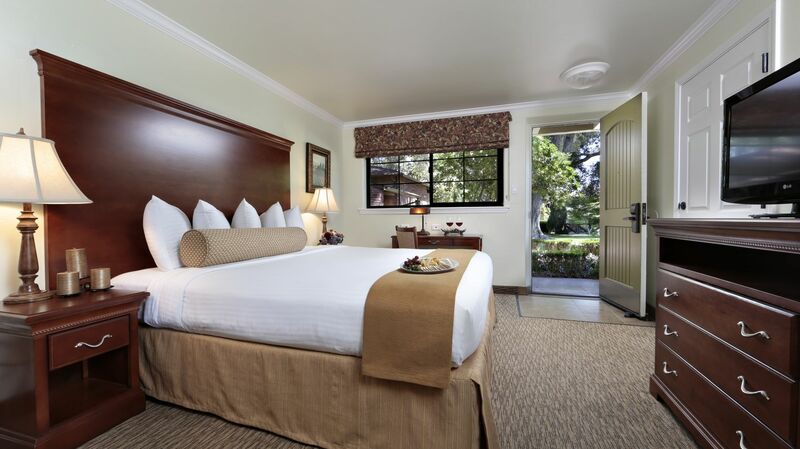 As one of our smaller-sized room types, the Garden Fireplace Rooms are one of our most affordable Paso Robles, CA lodging options.